Come with me as I take you along on my journeys. I agree with Mark Twain's quote. “Travel is fatal to prejudice, bigotry, and narrow-mindedness, and many of our people need it sorely on these accounts. Broad, wholesome, charitable views of men and things cannot be acquired by vegetating in one little corner of the earth all one's lifetime." Contact me at words4sail@gmail.com for travel writing to spur your readers to start packing their bags. 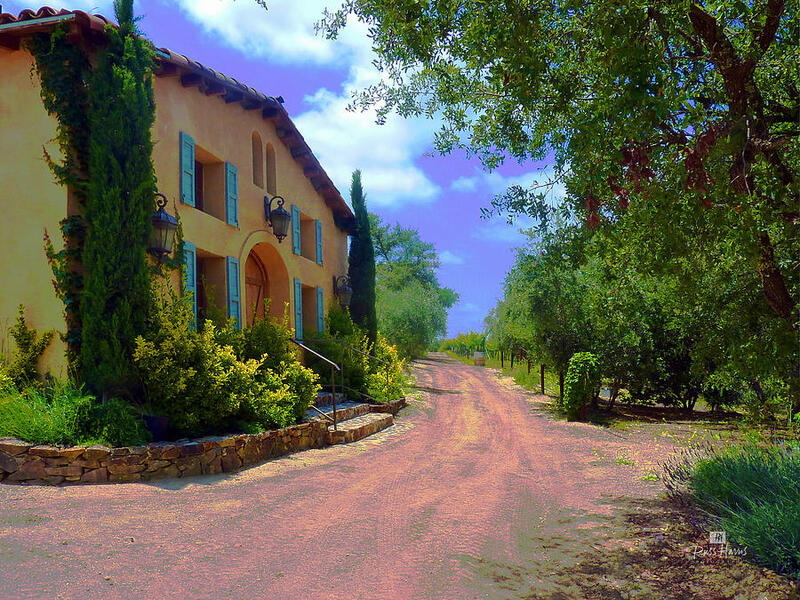 Planning on a wine-infused vacation in California? Don’t do your palate an injustice by only doing the tastings in Napa and Sonoma. No doubt their vino is superb, but so are the many diversified varietals from the far north to southern portion of the Golden State. 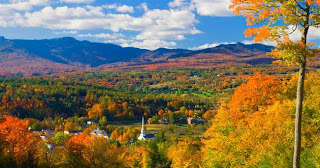 In addition, some of the less-popular regions hold wine tastings for less than $10.00 or even better – for free. Raise your glasses, pirates! There is nothing to whine about on any of these places. Where the Gold Rush began and the Sierra Nevada foothills begin lies a host of award-winning wineries. 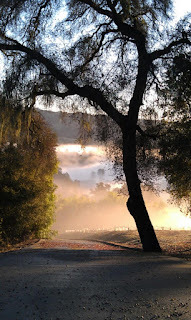 Here in the AVA’s five counties (Amador, Calaveras, El Dorado as well as Nevada and Placer), are 1,000s of microclimates. Hot summer days followed by nights of cool mountain air give the grapes distinctive hardiness. 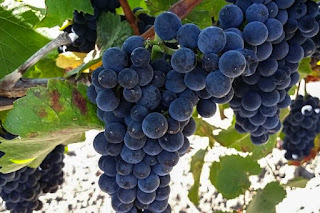 Typically, Big Reds like Barbera, Sangiovese and Syrah are the region’s output in addition to full-flavored Zinfandel. Great winery towns include Placerville, Plymouth and Murphys. This is America’s garden. Agricultural riches like almonds, asparagus and tomatoes feed millions grown from the Sacramento and Central Valleys to Lodi and the Delta down to Madera County. Grapes have meant big business for over a century. Their wines are extremely diverse. Big jammy-like Zinfandel from Lodi with Chardonnay, Sauvignon Blanc and Merlot coming from the region of the Delta. Towns with wineries include Acampo, Oroville and Clarksburg. 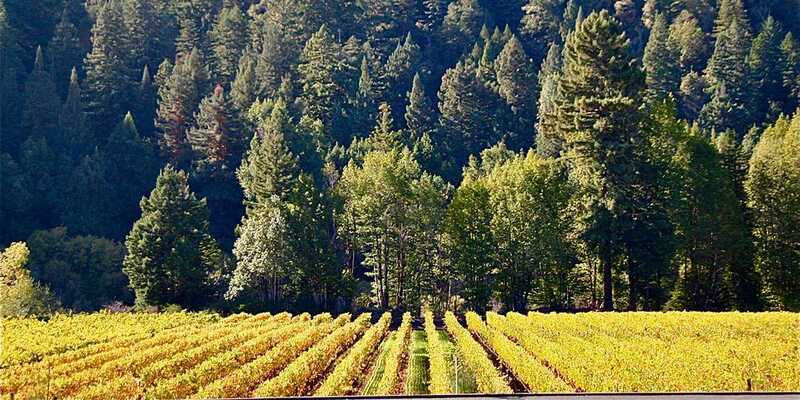 In the land of towering redwoods and the Pacific crashing against rocky coastlines, wine is created in quieter, sometimes eclectic, wineries. Grapes grow under diverse conditions. The interior of the six counties in Shasta Cascades region is warm, while cold harsh weather predominately occur on the coast. The wine is equally varied. Sauvignon Blanc, Chardonnay and Pinot Noir remain oenophiles’ favorites as does Brut sparkling wine. 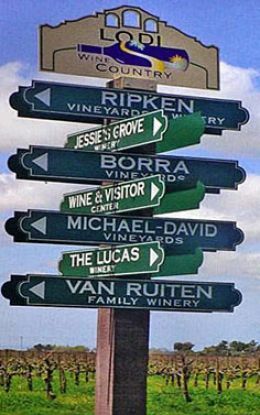 Towns with wineries include Trinity Center, Eureka and Arcata. California’s largest wine region has the longest history, starting with the 18th-century Franciscan monks. Vineyards were planted as they established missions along the famed El Camino Real. Fog trapped between the ocean and mountain ranges means a longer hang time for the grapes garnering superior tasting Cabernet Sauvignon, Cabernet Franc and Roussanne. Towns with wineries include Paso Robles, Livermore and Santa Maria. The scenery is as gorgeous as the wines found here. 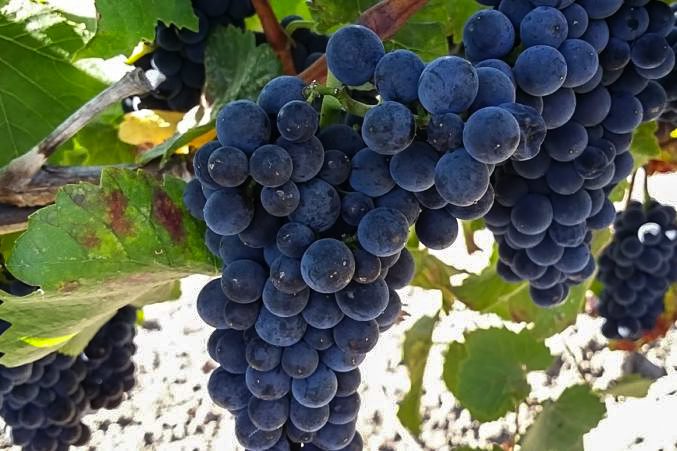 Napa and Sonoma are joined by the counties of Lake and Mendocino in producing highly esteemed Cabernet Sauvignon, among other varietals like Pinot Noir and Syrah. Tastings, unlike other regions, can be pricy, But, if you chalk it up to one-in-a-lifetime experience the money might be worth it. 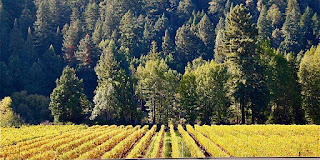 Towns with wineries include Hopland, Ukiah and Lower Lake. Like their Viking ancestors, modern-day Scandinavians eat from the sea, the plains and the mountains of their respective countries. While the kingdoms of Denmark, Sweden and Norway naturally fall under the Scandinavian banner, Iceland and the Faroe Islands are also included. Discover this multi-national smorgasbord of gastronomic delights and culinary oddities anytime of the day. Made of old rye bread and a light beer, this thrifty porridge is sometimes enjoyed with a dollop of citrus fruit-flavored whipped cream instead of plain milk. Open faced sandwiches start many a Norwegian’s morning. When bread is topped with this smoked salmon and eggs combo, the day is bound to be special. Like its western neighbor, Norway, open-face sandwiches often are the first meal of the day. Skinka (ham) is a popular choice to place atop knäckebröd a crispbread – round and made from rye. Grab a spoon and delve into some Skyr. The soft, yogurt-like cheese originated in Norway, but have been an Icelander’s breakfast item for centuries. It was first mentioned in old sagas of this island nation. Now commercially- produced, Skyr comes in different flavors. Pilot whale meat often ends up on restaurant menus and locals’ tables of this country strewn over a dozen islands. It is typically boiled, with its blubber and cold potatoes. Health authorities have some concerns over whale consumption, especially for pregnant women, so perhaps skerpikjøt (dried mutton) might be a better choice. Chase away the chilly temps dining on thick pancake with diced and delicious pork tucked in the middle. Reindeer live throughout the Nordic countries and are often used as venison in many recipes. 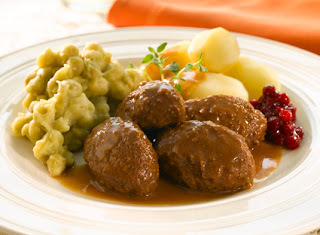 This dish is meatballs often accompanied by oven-baked potatoes and lingonberries. 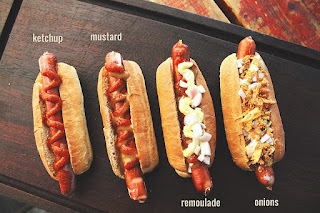 Icelandic hot dogs are a combo of beef, pork and lamb. To eat like a local, order it "eina með öllu.” It means with everything and includes ketchup, onions both raw and crunchy deep-fried, the tang of remoulade and a sweet brown mustard. To be more gastronomically adventurous – try smoked lundi. That’s puffin to most of us. The Danes stew summer fruits like rhubarb, strawberries and raspberries until they are thick and pudding-like. 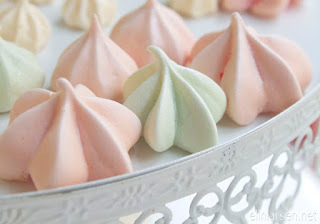 Cream is sometimes poured atop for a refreshing end to a meal. Although it translates to “cheesecake”, do not order this expecting the American version. Served as a square, instead of a slice, it is lukewarm and topped with jams such as cloudberry or lingonberry. You’ll stay regular with this Icelandic dessert. Five or more layers of cake alternate with sweetened prune jam. After years of wandering the globe, I am currently in Placerville, California. 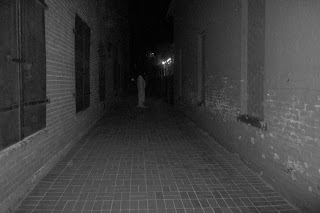 With its rich Gold Rush history and my diversified background in travel and tourism, I researched, wrote and began selling ghost tours across Gold Country. 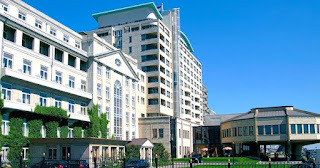 The response has been terrific with clients coming from all over the globe to meet our "spirited" residents. We have been praised in AAA's VIA magazine as well as Sacramento and Comstock magazines. Visitcalifornia.com listed us as the # 3 attraction out of the Top Ten ways to celebrate Wine Month - statewide. Considering we are in the biggest wine producing state in the US - having our "Grapes and Graves" tour honored was a big deal. We hold nothing but 5-star ratings in TripAdvisor - so guests appreciate the hard work I put into our tours. Come and let us scare you soon. Gold Rush Ghosts - now a book. Who knew after 20 years of being a writer that starting a tour company would result in a book deal? The History Press contacted me after their Northern California rep saw our advertisement for ghost tours. Their Haunted America series required a book pertaining to the California Gold Rush. Situated in Placerville, the former "Hangtown" of the raucous gold discovery era it became a natural fit. I am not a paranormal expert. 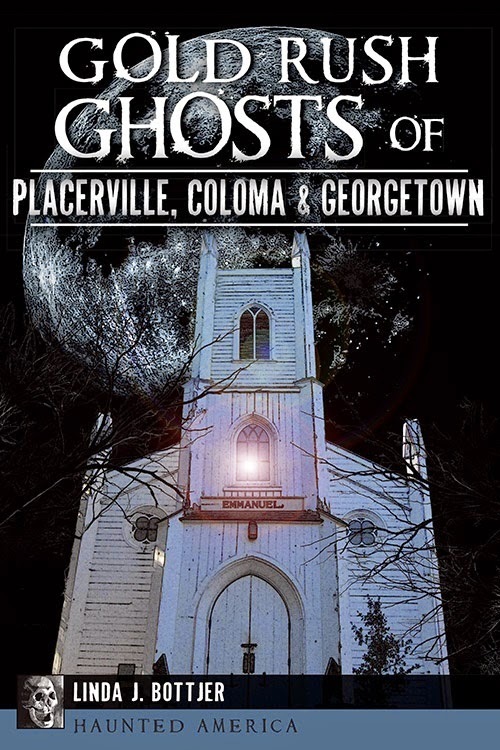 Our tours, and now the book heavily feature the historical aspect of the spirited past in the golden triad that also featured Coloma and Georgetown. Amazon and Barnes and Noble sell my book as well as local merchants. Here's the five-star review from the San Francisco Book Review. Grab a copy and enjoy. 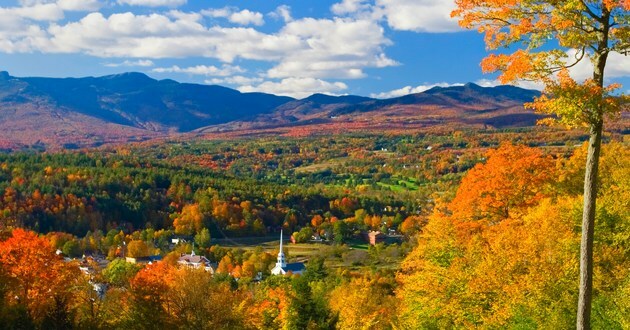 Among tall trees and wooded acres in the resort town of Stowe, Vermont is an extraordinary retreat perched on a 120-acre sprawl. Topnotch Resort and Spa, a member of Preferred Hotels & Resorts, houses capacious guest rooms and suites plus a collection of resort homes with an array of impressive amenities. A sweet European élan coupled with a classic country motif characterizes each hotel chamber, and the freestanding homes with their gourmet kitchens are ideal for multi-generational travel. Accommodations are varied and well-suited for nearly every purpose, whether you are traveling on a romantic getaway or plan to bring the entire family. The City of Light beckons to you - from the Seine and the Eiffel Tower, to the Champs-Élysées, this amazing city will win your heart. In the center of this wonderful and historic destination is Castille Paris. 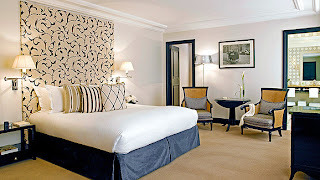 Nestled in the heart of the exclusive 1st Arrondissement, this bright and vibrant hotel is as luxurious as it is inviting. Choose from traditional or contemporary room styles, each equally beautiful and elegant. Crafted with bright whites and bold accent colors, and decorated with amazing 18th and 19th century works of art, you will be greeted by a peaceful atmosphere and spacious luxury. Plush accommodations, Carrara marble bathrooms, and city views will take your breath away. At Castille Paris the wonders of the city and the comforts of the hotel will create an experience you will remember forever. Traveling is a broadening experience. Reality is – you are already broad. Although your horizontally challenged silhouette is shrinking, its current state might keep you from the joys travel brings. Free yourself from such negative thinking! At present, you might not scale Mount Everest and perhaps running with the bulls at Pamplona will wait. However, temporary rotundness is no reason not to grab your car keys or passport and go. SEE: Give the Scottish National Portrait Gallery just 40 minutes and come face to face with some famous folks. Their “Fur Coat an' Nae Knickers” self-guided tour celebrates the vibrant diversity of seven Scots and one royal wannabe. The cast of characters include royals like Mary, Queen of Scots and Queen Victoria to the creator of Peter Pan, J.M. Barrie and the beloved poet Robert Burns in addition to the Big Yin – comedian Billy Connolly. DO: Take home a unique souvenir by attending a one day course at the Edinburgh New Town Cookery School. Located a short walk away from the hotel at 7 Queen St the school invites children, ages nine and above to families and adults to discover culinary techniques that include baking, creating curries or working with fresh local shellfish and seafood. Check their website for cooking demonstrations with noted chefs. TASTE: Not a member of the Single Malt Whisky Society? Do not water down your whisky with disappointed tears. Non members can enjoy the nectar of Scottish and international distillery gods’ single casks and innovative Scottish fare at the SMWS’ dining room on 28 Queen St for lunch and dinner. Chef James Freeman’s menus feature a French flair with regional ingredients. A wild salmon filet with crab cannolli and coastal greens remains a popular year-round entree. DRINK: When looking for a pub experience with more substance than glitz head to the Basement Bar on Broughton St. Malt whiskies range from smoky Islay drams to gently spiced Lowland and fruity Speysides. Caribbean rums and American bourbons are well represented. Sip around the world with bottled beers of Mexico, Germany, and the Czech Republic and of course the UK. Draught beers include Belhaven Best, Scotland’s renowned brown beer and the raspberry infused Bacchus Frambiose. 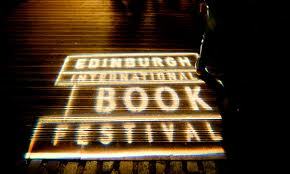 BUY: Books provide the backbone of Edinburgh through its annual International Book Festival held at nearby Charlotte Sq every August and numerous bookshops found in New Town. Open the door to the Broughton Street Book Shop at number 44 and the intoxicating aroma of old paper, dust and ink grab the soul. Shelves, edging up to the high ceilings, are filled with classics, old and new, and everything in between. Literary memories await here. The fresh and invigorating Colorado air is reason enough to escape to The Lodge & Spa at Cordillera, a luxurious retreat perched on a peak with views over Vail Valley and Sawatch Range. 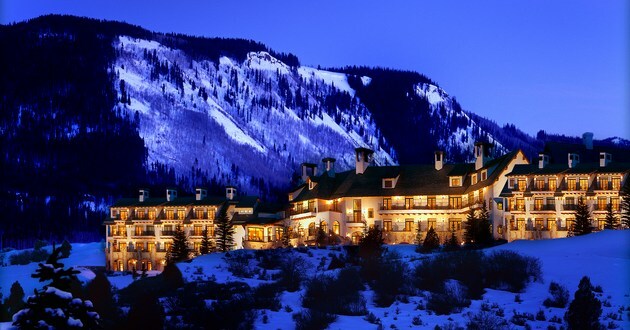 As if plucked from a picturesque alpine village, this AAA Four-Diamond Award hotel was inspired by a Belgian chateau. Beyond the threshold of each magnificent guest room is a spacious sanctuary bathed in warm woods and rustic accents, some warmed by cozy fireplaces. My childish enthusiastic shouts of “giddyap,” always gained the same response. 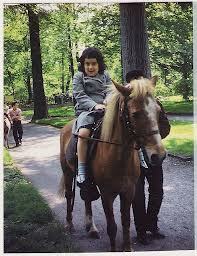 Being a Bronx Zoo pony ride attendant, limited to squiring children around a muck littered oval circle was probably a boring occupation. However, why could they not join in sage-scented scenarios my fertile imagination had concocted? Freed from the concrete existence of upper Manhattan, I rode the open range under a never-ending blue sky, shiny spurs sparkling in the sun and adventure waiting around every butte. 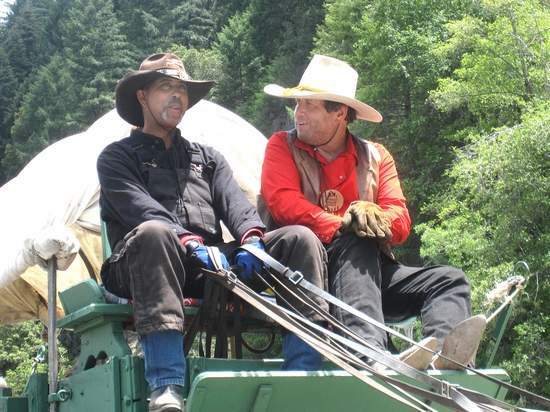 Decades later, my long-forgotten cowgirl yearnings were renewed when asked to join the annual 1860s era wagon train trek over the Sierra Nevada. Every June it honors the pioneers of old by journeying from South Lake Tahoe to Placerville – near the site of California’s gold discovery. The night before departing, excitement turned into terror as my lack of horse sense surfaced. 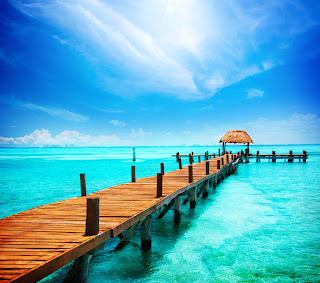 Click here to continue reading this Pure Travel Writing Contest entry. 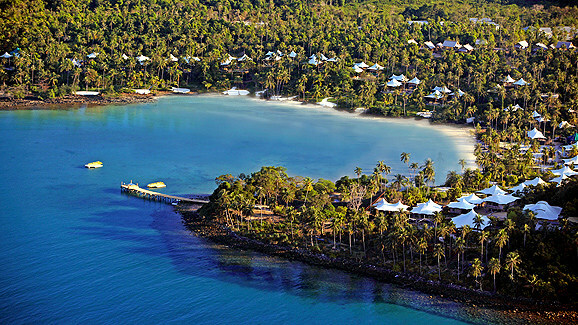 Lush rainforest gives way to glistening white sand beaches, tranquil azure waters, and the luxurious beach resort of Soneva Kiri. 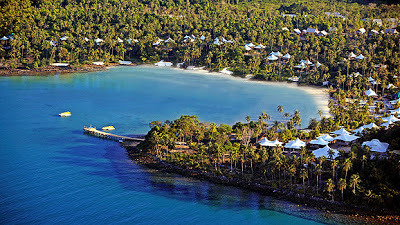 On the tiny and secluded island of Koh Kood in Thailand's Gulf of Siam, the villas and reserves of this tropical paradise welcome you to escape from the world. It is no wonder the place naturalist John Muir called “a temple of nature” remains a favorite place for the world to visit. Wondrous vistas appear everywhere, from towering Sequoias, mile-high waterfalls, and the grandeur of granite-faced mountains. 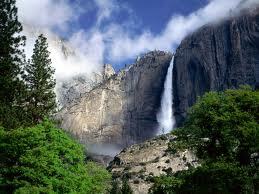 Save time and gain your best Yosemite experience by staying inside Yosemite National Park. Whatever your accommodation budget and the amenities—or lack of—you desire, you can find all the best places to stay right here. Gaze out over the beautiful Chao Phraya River from high above the city, the bright lights of Bangkok gleaming like stars, and sink into the lap of luxury at the Tower Club at Lebua. 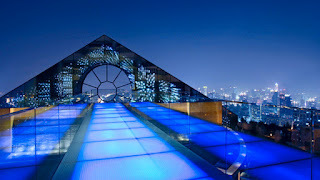 In the sprawling urban landscape of Thailand's capital, the luxurious rooms of this towering hotel are a tranquil oasis. With all accommodations located exclusively on the 51st to the 59th floors, each suite is spacious and warm, with an elegant modern style crafted from sleek lines, bright white walls, and warm wood floors. Sliding glass doors lead out to private balconies with sweeping views of the city, while elegant bathrooms, a kitchenette, and plush accommodations ensure your complete comfort. Unwind and enjoy the tranquil atmosphere and simple elegance of your room, sip a cocktail on your balcony and watch the sun set over the city, and immerse yourself in the wonder of the Tower Club at Lebua. 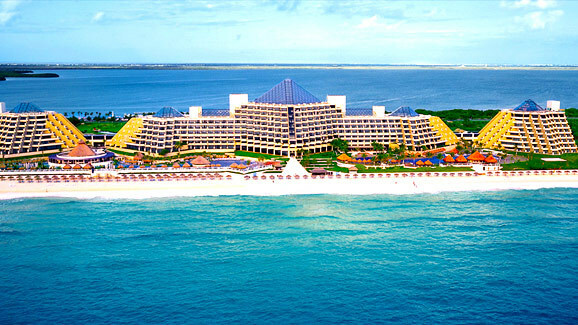 The pyramids of the Mayan empire rise again on Mexico's Riviera Maya at the elegant Gran Melia Cancun resort. Designed to evoke the grandeur and luxury of the ancient Mayan culture, the beachfront Gran Melia offers the kind of comfort exclusive only to the most prestigious hotels of the world. Awarded the AAA Four-Diamond Award, the Gran Melia Cancun is well known for its white sandy beach overlooking the Caribbean Sea. 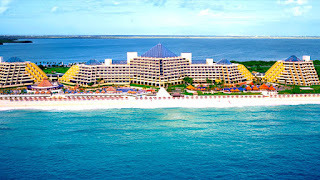 Featuring four spectacular pools, specialized à la carte restaurants, an activities program for children and adults, a 9-hole par three golf course, tennis court, two paddle tennis courts and YHI Spa - Gran Melia Cancun has all of the elements for a truly memorable Mexican escape. Invigorating ocean air drifts over the Grand Hotel Huis ter Duin as cool fog begins to dissipate and bright rays of sunlight begin to warm the beach of Noordwijk, Netherlands. At this Preferred Hotels & Resorts property, a part of the well-established Preferred Hotel Group, you can experience this majestic vision of the North Sea from the privacy of your own balcony, or from any of the comfortably appointed terraces. Just 20 minutes from Amsterdam's Schiphol Airport, this 254-room hotel offers tranquil luxury with a small town feel. Each room is elegant in its simplicity of design, and offers all the modern amenities guests could desire for. Watching the fog roll out to sea, the gentle coastal atmosphere will begin to warm you to your vacation as the sun begins to warm your skin.